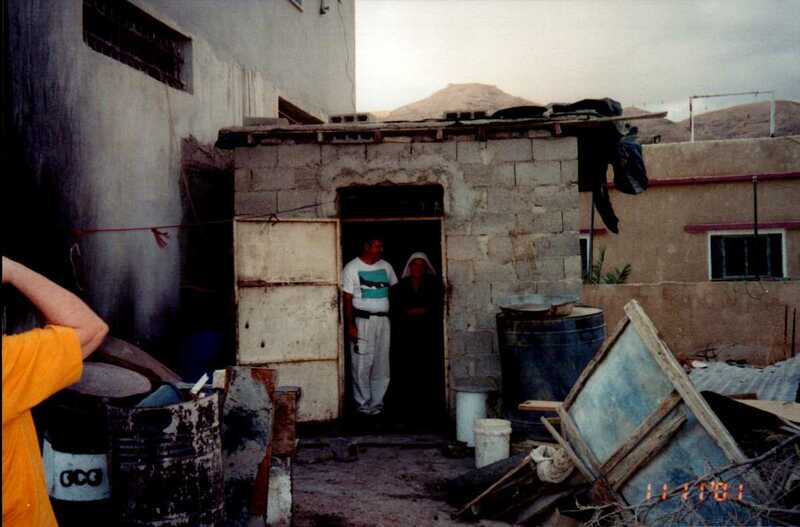 When we lived at the Jesus House of Prayer in Jericho one of the things we did was give out food packages to people who needed them. There was a fence around the house and we locked the gate at ten at night and didn’t open it until after breakfast in the morning. This was mainly so someone didn’t come asking for something in the middle of the night. One morning when Bob went out to open the gate there was a woman sitting outside the fence. She got up when she saw Bob and smiled. Of course we had no idea what she wanted since we didn’t speak Arabic so we called our translator and had her talk to him on the phone. He told us she wanted some food and he told us she probably needed it. Bob & Kodra in Kodra’s doorway. The small space is her home. Her name was Kodra and she wasn’t young. We found out she lived over two miles away so we gave her some food and put it in the car and took her home. She lived in the smallest place I have ever seen. I’m not sure I would have called it a house. It was just one room. We found out she had no running water and had to go to a place called Elisha Spring to get water every day. Even in such horrible conditions she always had a smile on her face and we found out she was a believer in Jesus. We went to visit her often to see if she still had enough food and to pray with her. 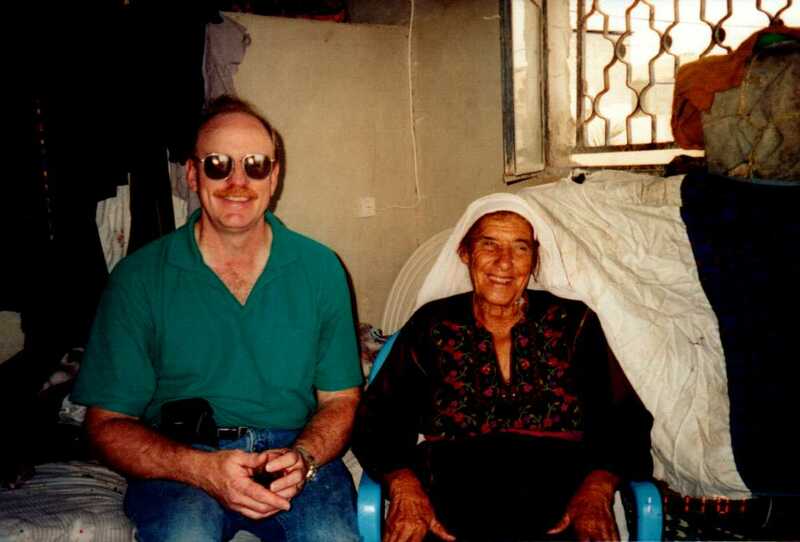 Ministry partner Steve Walker and Kodra inside her house. Kodra has gone to be with Jesus. The last time we were in Jericho the house she lived in had been torn down. She is one of the people I met there who stole my heart. It still amazes me how people with almost nothing can be so happy. It has taught me to be thankful for all I have even if I don’t have all I want, I do have all I need. Great reminder to be thankful, Jan! Thanks for sharing this story!